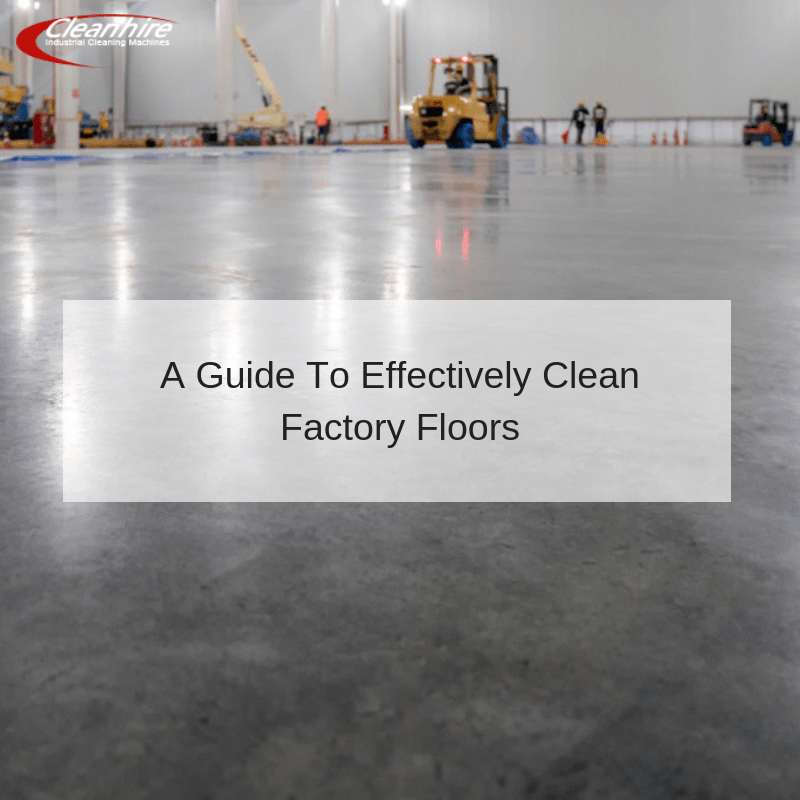 Cleaning factory floors is essential is essential in terms of safety, in-house efficiency and regulatory compliance. However, some of these areas are quite large and they can be difficult to tackle without having an initial plan in place. There is no doubt that maintaining such an environment is important in order to bolster day-to-day operations, so it is a good idea to take a quick look at how to effectively clean these locations. Make certain that the area to be cleaned is free from all large debris such as boxes, pallets and any machinery. Depending upon the level of dust or dirt, there are times when this floor can be manually swept. Also, be sure that no hazardous scenarios such as loose electrical cables or chemical spills are present. It is then wise to contact a reputable floor scrubber dryer hire company such as ourselves, as renting a unit in advance is the best way to select the correct make and model. The best way to ensure a fast and efficient completion is to visualise your route in advance. Much like painting the floor of a garage, it is advisable to start cleaning at the far and before returning to the initial starting point. Not only will this help you to avoid doubling over areas that have already been scrubbed and swept, but it is much easier to gauge your progress. This is arguably the most critical concern, as the cleanliness of your floors will directly equate to the type of unit that you select. Cleanhire offers a wide range of scrubber-dryers for different environments. Some walk-behind models are ideal for smaller dimensions while their ride-on counterparts are capable of addressing very large areas (such as industrial warehouses). Their associated scrubbing mechanisms and turning radii are likewise designed to complete certain tasks, so you can rest assured in the knowledge that there is always a model suitable for your needs. Above all, each of these scrubbers is reliable and powerful. Effectively cleaning factory floors requires planning and insight. However, selecting the correct scrubber-dryer is just as important if you hope to complete the job within an amenable time frame. Thanks to over 36 years of industry expertise, our professionals are always happy to provide further information or to reserve a unit for you at your convenience.